Dear friends! Since we have a lot of updates recently, we are a little bit behind with publishing the news and official announcements. However, the payments themselves, of course, are always made on time. The bot automatically counts all the due payments based on how many Waves a certain lessor has leased and for how long. Our tool automatically pays to all the lessors without manual intervention. The bot pays not only Waves and MRT, but also partner tokens, which we will periodically provide to it. Today Kolion and KolionPlus are our bonus tokens. The tool is able to re-distribute the funds based on additional parameters in the configuration file. For example, now we set up the bot in such a way that the reward for the Waves team’s stake is distributed in the correct proportions between the rest of the lessors. The bot also generates a report listing all the payments made. Now we just need to wait for the next payments and then just copy the news to our web site and forum. Later we will automate this too. We changed the schedule of payments. Now payments will occur weekly on Mondays at 12:00 PM Moscow time (GMT+3). The transition to a new schedule will be smooth. This Saturday (15th September) payments will be made as usual at midnight. However, next payments will occur in a week + 1 day, i.e. on Monday 24th September. The bot will take into account that this payout period will be slightly longer than usual (8 days and 12 hours). And further payout periods will last exactly 7 days starting from the 1st October. We hope that the transition will not be painful for you. We will do our best to make sure that everything goes consistently. 87,173 votes was sent FOR the activation of smart accounts and 0 AGAINST the activation. Thus, the Tradisys Node voted FOR the activation of smart accounts unanimously. 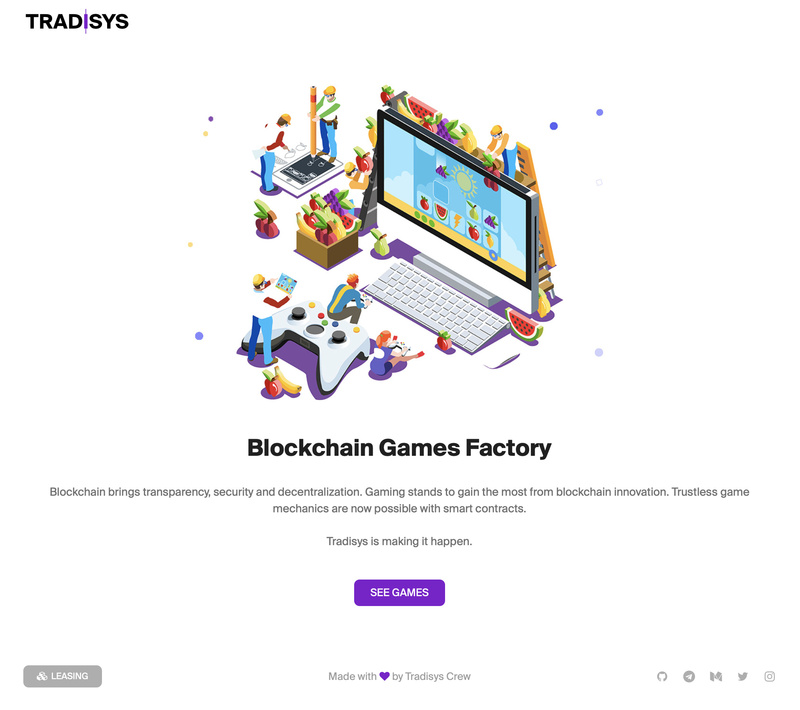 An interesting fact: the Tradisys Node was the first Node that generated a block and signed it with a voice FOR the activation of smart contracts. This is a historic moment that will be immortalized in the Waves blockchain. The very first block # 1167165. The army of the dead lessors is merciless, but we managed to throw back the henchmen of the Night King. The battle for Winterfell was bloody and cruel. The fire has destroyed not only the fortress, but also all the surrounding neighborhood, including the ancient Godswood. All the weirwoods were burned to the ground. And while the army of the living prepares for a new offensive of the enemy, we invite everyone to participate in the restoration of lost heritage and recreate the Godswood. 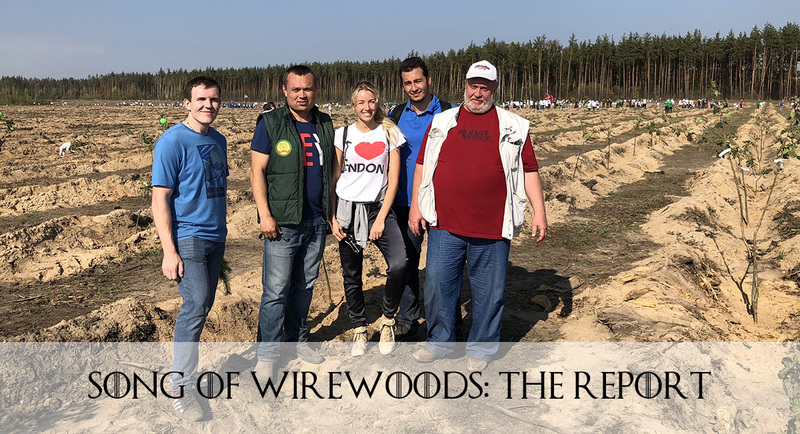 September 22, 2018 in the Moscow suburbs will be the largest annual tree planting event, which will involve 200,000 people that will plant 1,500,000 trees. The site of the event is here (Russian only. Please, use the Google Site Translate tool). A part of the seedlings will be purchased at the Kolionovo incubator, and the Tradisys team will personally participate in the event. We will go to plant oaks, which are the prototypes of weirwoods in the Game of Thrones. You can take part in the event together with us! You can plant oaks together with the Tradisys team. Yes, we will come to plant oaks in the Moscow region personally. We will fly there from St. Petersburg, where on the 20th of September we will take part in the official Waves Platform meetup as speakers. To participate in the Godswood recreation event, you need to get here. If you are not able to take part personally, then there is an alternative: we will purchase additional seedlings from the Kolionovo Nursery and plant them for you! Kolionovo takes part in this event every year for 12 years as an active participant and supplier of seedlings. The Kolionovo Nursery accepts the Kolion and KolionPlus tokens as payment for its products. We will plant 1 oak for every 2 KolionPlus tokens that will be sent to the address 3P8LYFWE8k7A1ajecYfNmHwnUa24pHTtWYR. This year we will be able to plant up to 400 seedlings. The Tradisys team sent out a certain amount of KolionPlus tokens to all our Tradisys Node lessors with every leasing payment for more than two months already. If you are not a lessor of our Node or at the moment you do not have KolionPlus tokens in your wallet, then you can buy them on the Waves DEX exchange for Waves or Bitcoin. You can donate any number of KolionPlus tokens, but this year we will be able to acquire and plant only 400 seedlings maximum (2 KolionPlus tokens per piece). All the unused funds we will spend on the spring planting in 2019. Helping nature is great! Furthermore, we have a little surprise for you. Among all those who sent at least 2 KolionPlus tokens, we will randomly pick one account and give a special prize from the Tradisys team: Ledger Nano S! 20th September at the Waves Platform meetup in St. Petersburg we plan to present the first oracle in the Waves network. A reliable random number generator will help us determine the winner with a smart contract. Each participant will receive a special Game of Nodes token for every 2 donated KolionPlus tokens. These tokens will give you a chance to win the Ledger Nano S! More tokens – more chances. We will publish the photos from fields as well as the photos of seedlings. It will be fun! Moreover, each tree planted as a result of the Tradisys initiative will receive a special tag on the branch with the event logo. The logo of the event is temporarily placed in the header of our web site instead of the Tradisys logo. The photos will be published on this page once the planting is finished and the Tradisys team is back to the office in Minsk. For any other questions related to the event, please contact us in our Telegram channels: Russian, English. We also actively support discussions on our forums: Russian, English. Waves smart contacts were successfully activated in the block number 1190000. This means that from now on we can do all sorts of interesting things with the power of the blockchain. Of course, we are looking towards games. At the Waves Platform meetup in St. Petersburg, we presented the very first game on this blockchain, working entirely on a smart contract. But the thing is that in order to decide who will make the first move we had to throw a coin. So, we have developed a more technical solution for this problem. During the Waves meetup at St. Petersburg Tradisys presented two oracles at once. The Oracle is a machine that delivers data from the real world to the blockchain. At the same time, it is solving an extremely important task: generation of random numbers. This number should not be known in advance and everyone should be able to verify it. No one, including the oracle, should be able to influence this random number. It should be as unbiased as possible. How does the Tradisys oracle work? We presented two oracles at the meetup: Cyclops and Centaur. The Centaur oracle has been successfully launched and is running at this address. How does it work? The Centaur oracle is a program. The program is configured in such a way that every 30 blocks (configurable parameter) it reads the current height of the Waves blockchain (the last generated and signed block), takes the hash of this block and performs a data-transaction to the oracle address in the blockchain. But since miners can manipulate block hashes, such hashes cannot be trusted. Therefore, before making a date transaction with a random number, the oracle performs one tricky manipulation. After receiving the hash of the last block, Centaur signs this hash with a previously generated private RSA-key. No one, except the oracle, has access to this private RSA-key, so no one, except for the oracle, will be able to correctly sign the data-transaction that is sent to the oracle address in the blockchain. You can verify that the oracle is not deceiving with the help of the public RSA-key that was previously tied to the Centaur address. Thus, any random number generated by the oracle can always be checked for authenticity at any time, because the public RSA-key is permanently attached to the oracle account using a smart contract. This means that if Centaur tries to sign a hash of a block with some other key, then the oracle can be instantly convicted of it. As a result, as long as the oracle works at the address, to which the public RSA-key was tied, you can check all of its records. Why is all this necessary? Suppose that we want to start a Tic-tac-toe game at 5:10 P.M. Moscow time. Tic-tac-toe is a game, but in our case, it is also a smart contract. We can extend the smart contract by an instruction that will give the right to the first move to one of the players, depending on the specific condition. This condition may be a random number generated by the oracle, which neither I nor Inal can know in advance. The oracle takes the signature of this block and, before sending it to the oracle address, signs the block with a private RSA key, which is not known to anyone but the oracle. There is no point for the miner to sort out the signatures of the block that it generates, since the miner does not know what the final random number will be, after the hash of the block is signed by the oracle. basedOnBlockHeight. The height of the block, the hash of which was used. The field can be overwritten. basedOnBlockSignature. The block signature that was used to generate a random number. The field can be overwritten. 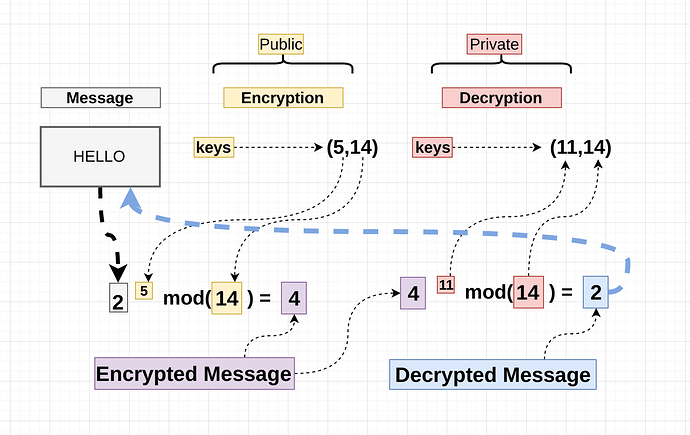 oraclePublicKey. A public RSA key that validates the oracle’s signature. It is impossible to overwrite this field: the smart contract is responsible for this. randomNumber. Random number itself. Rewritable field. As you can see, there are quite a few digits here. Each record of the oracle is a string, where all characters, including digits, are different, and the number of digits are also different. Read string containing a random oracle number. Delete everything except digits. Now the string contains only digits. Take the digit, which is fifth from the left. If the resulting digit is from 0 to 4, then the crosses go first. If the resulting number is from 5 to 9, then the toes go first. Now Inal and Ivan do not argue who goes first. Choose Inal crosses, and Ivan toes, or vice versa, the right to perform the first move will be determined by the smart contract. And neither Ivan nor Inal can influence the situation and gain an unfair advantage. And this is only one of thousands of examples of using random numbers from the oracle. That is why the source code of the Tradisys Centaur oracle will be published in open access. We hope that in the near future there will be several more oracles that have a sufficient level of trust. This will allow us to make an adjustment to the smart contract, so that the smart contract takes random numbers from several different oracles and, for instance, sum them to get the final value. Since all oracles will have unique RSA private keys, despite the fact that the block signature will be the same for everyone (assuming these oracles make transactions with the same frequency), the oracles’ random numbers will be different. The miner’s collusion with a particular oracle becomes useless, since now the miner-сheater will need to bribe all oracles at once, random numbers of which are used by the smart contract. Now the oracle is stable. Centaur records a random number every 30 blocks. In the future, we will increase the frequency of the recording of random numbers. We will open the source code in a few days (just need a little time to clean up the code). t.data.key == "randomNumber" && t.data.key == "basedOnBlockHeight" && t.data.key == "basedOnBlockSignature"
We were in a bit of a hurry, and so the smart contract is not perfect. The smart contract logic is built flawlessly, however there is one extra detail The issue is insignificant, and so it makes no sense to re-deploy the contract to another address. Don’t worry, there is no security threat. However, this once again confirms that in a hurry you can make a mistake. The oracle is fully working and safe. It generates a random number every 30 blocks. You can use it safely. We’ve open-sourced the tic-tac toe game that was shown in St. Petersburg. Tic Tac Toe game based on Waves smart contracts. Contribute to tradisys/tic-tac-toe development by creating an account on GitHub. We have successfully made our regular Monday payments. We distributed all #WAVES and #MRT mined during the week and bonus tokens. Starting next week, payment of bonus tokens is temporarily suspended. We will only distribute WAVES and MRT, and, of course, we will also proportionally distribute the mining reward from the Waves Team stake that we currently own. This change will reduce the profitability of leasing to the Tradisys Node but taking into account that we are paying 100% of all rewards and additionally 100% of what was mined by the Waves Team stake, we still hold the first place among other nodes in terms of profitability with a good margin. Why do we remove bonus tokens from payments? Recently, we have focused on the development of various services and products that attract attention to our Node as well. We stopped publishing any reports on our web site and forum about payments before the release of a new site. However, all payments are always made in full and on time. First, the balance began to decrease, but after the release of the WAVES Xmas Tree game, the balance of the node went up again. A number of major releases are expected, and soon enough, as well as the site will still be updated. In this regard, we would like to slightly restrain the growth of the balance of the node, so that it does not grow too much, and we did not turn into those with whom we have been fighting so long and hard. We do not want to become the Night King . We do not plan to reduce the size of payments, they will always be equal to 100%. We do not plan to keep profit from the Waves Team stake to yourselves; the profit will still go to you - the lessors. To date, we believe that taking measures for a small decrease in profitability is sufficient to slow down the growth of the Tradisys Node. Our friends from Kolionovo, who provided bonus tokens all this time, are going to send the released resources to some new activities, so that, as a result, these funds will return to the community. Things are good! Thank you for choosing Tradisys Node to lease your WAVES! P.S. We hope you enjoyed our Xmas Game, so we plan to deliver more games and activities based on Waves Platform! Waves Labs did a great job! 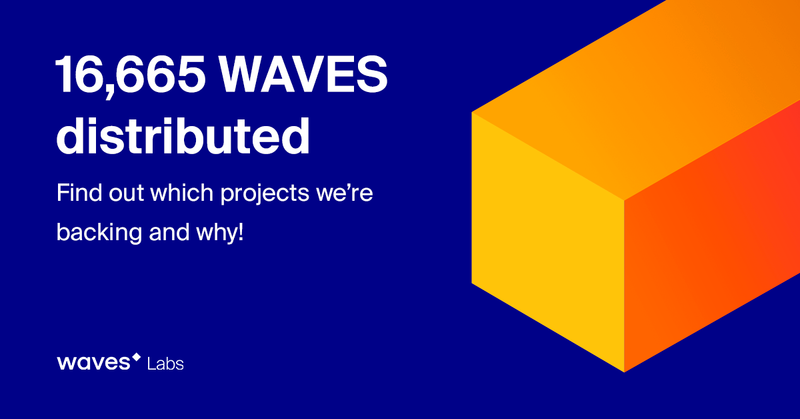 Tradisys team and few other projects were granted by the Waves Labs for our development contribution into the Waves ecosystem. We do believe that oracles (randon number generators) are vital for the ecosystem. Tradisys created the Centaur Oracle. One more oracle was developeb by genius @deemru, who was also rewarded by the Waves Labs. Thanks @cigulev , @tsiguleva and @WavesLabs for the support! Tradisys team appreciate it. We are looking forward to new projects and cooperation. Hey guys! We’ve updated our website. Now we are focused on Games Development. Leasing is still in our high priority, you can find everything about it here. Thank you for choosing Tradisys Node to lease your #WAVES!